We offer you several key factors that are important when designing and laying out your next online eCommerce store! This week we are discussing how to design and make your eCommerce website. Even if you have a shopping website, leverage these top tips and help grow your business. Shoppers like to look around at choices and will often buy more than one item. Even if you do offer one or two items, a shopping cart provides a familiar checkout and experience that customers are accustomed to. Make your users feel at home by 'Adding to Cart' items with a full shopping cart, and resist the urge to place 'Buy Now' single item purchases on your site. We know they are easy and simple, but convert less often. Most analysts feel mobile shopping adds up to about 1/3 of all online shopping. Most small-mid sized business will see far less mobile action than large scale businesses such as Amazon and Ebay, but the fact still remains, users often get their first impression of your site while on their smartphone. Be sure to invest in a quality theme that is mobile ready. Your shopping system should also be responsive, such as WP EasyCart is... but your theme is critical to this mobile behavior. Design your website with very clear navigation to your product. Use your main menu to show categories of products and subcategories if you need to. Think about how a variety of customers may find products and include multiple category pathways. For example, if you sell clothing, offer Mens, Womens, and Childrens categories, but also include by product type such as Shirts, Pants, and Coats. List products in multiple categories so that you capture more customers with easy to find products. Users love and trust other customer reviews more than a sales pitch from your website. Obviously you are an outspoken trusted user who believes in your product, but customers like to see reviews from outside sources. Offer a 5 star rating and product review system for your products, and encourage users to come back and leave a review. Providing high-quality images for your products is key to how you present yourself on the web. If you plan to sell any kind of product, take the time to create a decent product photograph. Most eCommerce systems will handle the display and sizing of images if you feed good quality images to them. We don't know why, but customers feel guest checkouts save them time. Usually the only difference is a 'password' in order to create and save an account, but offering it will keep those customers happy during checkout. Almost every shopping system requires the same information. An email address, billing address, shipping address, shipping choices, and payment information are all necessary for any eCommerce system. Offering a 'guest' checkout will add a 'password' to save their accounts. Shopping carts like WP EasyCart offer the ability to enable/disable this 'guest' checkout as you like, while some products such as downloads and subscriptions require a customer account to access their goods and memberships. Let your customers decide how they want to pay. With WP EasyCart, you can offer PayPal alongside a regular credit card on your website. PayPal + Square or PayPal + Stripe are great ways to increase conversions. Some users like to simply enter their card directly on the checkout website as it offers quick and convenient checkouts. Others really enjoy the PayPal option and the ability it affords with a variety of payment methods. Resist the urge to offer what 'You' may like and provide the customer with choices with what 'They' may like. Countless times we have seen websites fall by the side or never receive an order because a final run-through test was never made. With the WordPress platform, you are the designer and developer, so test your eCommerce system to ensure it works and flows as you designed. Never install a new plugin, theme, or workflow and assume it works! Always run live tests, refunding yourself as you go and ensure your eCommerce design tools are working for you. Want to learn more about eCommerce? If you would like to learn more about eCommerce software, or even download our FREE edition or PRO trial software, just visit our website and click the top menu bar. 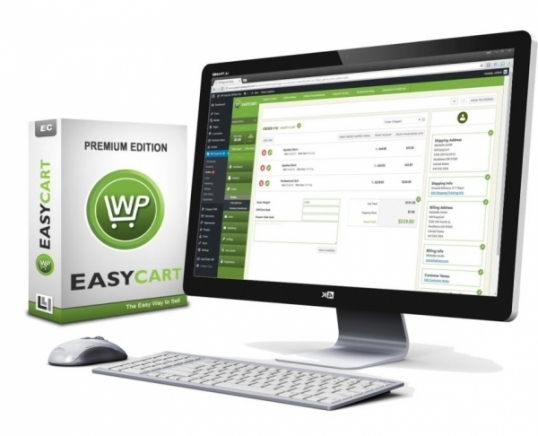 WP EasyCart is developed to allow you to sell on your WordPress website any product, whether it be a retail good, download, or a service type product.